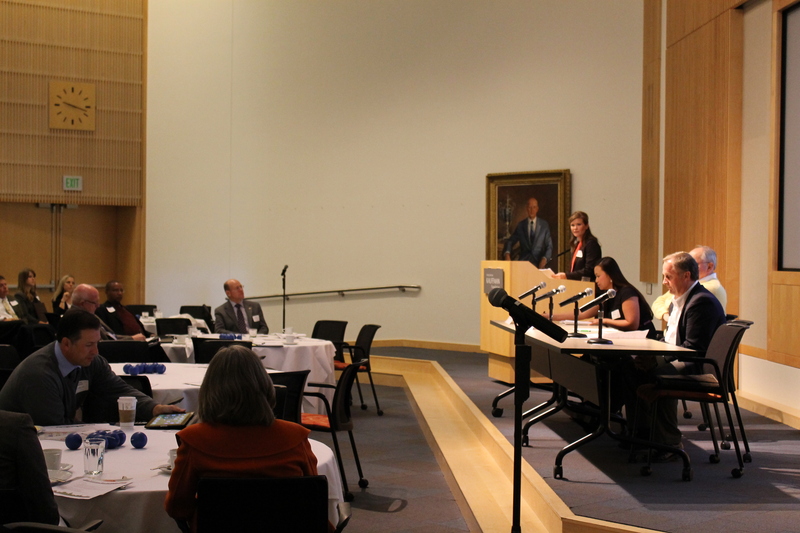 On Oct. 25, local business leaders, educators and workforce experts gathered at the Kauffman Foundation Conference Center for the third annual Regional Economic and Workforce Summit. The summit featured a KC Economy and Workforce presentation by MARC economist Frank Lenk and two panels of regional workforce experts. Lenk discussed Kansas City’s economic strengths and called for the region to become more innovative, global and able to adapt to new skills demanded in the workforce. His presentation can be found here . The first panel focused on creating a workforce pipeline for KC manufacturing. All three panelists, Julie Yang of Torotel, Jon Newcomb of Blue Valley CAPS and Rich Piper from Kansas City Kansas Community College Technical Education Center, acknowledged the need to expose students (high school and college) to potential careers in manufacturing. The second panel focused on growing the region’s tech industry. Panelists included Ryan Weber (KCNEXT), Matthew Marcus (Hoopla IO), Tyler VanWinkle (Leap2), Mike Demarais (Handprint) and Anurag Patel (SportsPhotos.com). This inspired panel discussed an already burgeoning tech field in Kansas City. Panelists said Kansas City’s tech workers take a back seat to no one and that the things holding KC entrepreneurs back are the lack of venture capital and getting publicity for our accomplishments. The summit was sponsored by the Regional Workforce Intelligence Network of Greater Kansas City (RWIN), a network convened by MARC to encourage greater collaboration among the region’s workforce data and information professionals and provide input on real-time labor market reports, sector partnership development and other workforce development activities in the region. For more information about RWIN, visit www.kcworkforce.com. ← Has The Information Sector Employment Skid Stopped?